The New York City Economic Development Corporation is searching for prospective candidates to take over management of the annual NYCxDesign festival. The quasi‐governmental entity has issued a Request for Expressions of Interest (RFEI) in the hope of find a new organiser for the citywide event, which has taken place each May since 2012. The NYCEDC currently oversees NYCxDesign along with a steering committee of design industry experts, who represent various local institutions, companies and organisations in the field, along with the City Council. But the corporation is looking to transfer its responsibility to an individual, team or group that will grow the festival in size and reputation, and ensure its financial sustainability. "The selected respondent is expected to take on ownership of NYCxDesign, including marketing, promotion, partnerships, logistics, and administration, while ensuring NYCxDesign's success and independence as a standalone brand," said the RFEI document. Some of the criteria that respondents will be evaluated against include articulated future vision for growth and management; demonstrated understanding of, and connections within, the design world in New York City; and previous expertise managing large‐scale events and platforms. The NYCEDC has already held information sessions at its offices, on 14 August and 5 September 2018, for those interested to attend and learn more about the opportunity. Submissions are being accepted until 3 October 2018, then interviews will be conducted later this year, with the hope that successful respondents – if any – will be involved in a transition of management during the 2019 edition. They would then be expected to assume full responsibility for the festival from 2020. 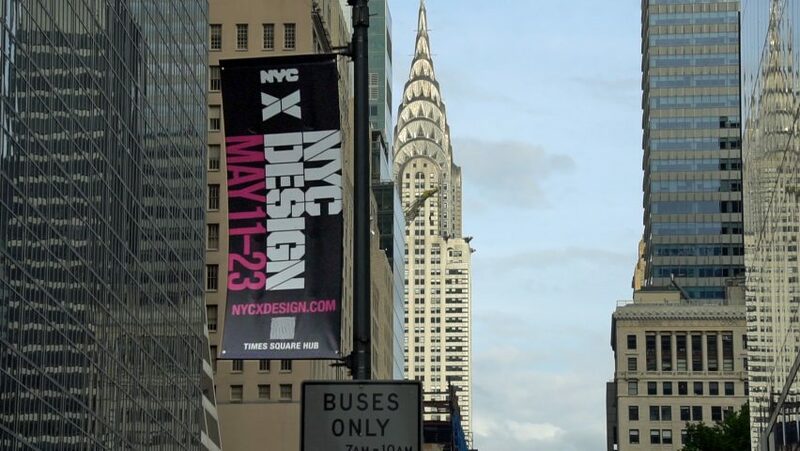 Taking place 10-22 May 2019, the next NYCxDesign is already in the planning stages. As in previous years, it will coincide with the independently run International Contemporary Furniture Fair (ICFF) at the Jacob K Javits Convention Center, and encompass several other exhibitions, plus installations, talks and parties. Since its inception, the festival has grown to encompass a wide range of design disciplines, and events across the five boroughs over a two-week period. In 2017, approximately 347,000 attendees took part. The NYCEDC was created to promote and create jobs for New Yorkers, as well as foster "dynamic, resilient communities" across the city.